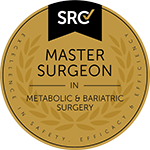 Dr Kuzinkovas specialises in revision weight loss surgeries, but there are increased risks associated with secondary surgery. So patients will need to carefully consider whether it is the right option for them. The need for open surgery, instead of the less invasive laparoscopic approach. increased risk of infection and leaking. The secondary procedure will depend on the specific needs and health problems of the patient. Dr Kuzinkovas will discuss potential treatments with the patient and help them decide the surgical approach best suited to their circumstances. Postoperative procedures and instructions will vary depending on the surgery. Most patients will need to take time off work and prepare for several weeks of rest. Typically patients should also expect to return to a post-gastric surgery diet of liquid and pureed foods. Generally weight loss will be less extensive after revision surgery, compared to primary surgical procedures. Dr Kuzinkovas will discuss the specifics of postoperative care with every patient. 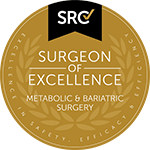 What are the Cost and Funding Options for Revision or Failed Weight Loss Surgery? There are a number of payment options available for patients depending on the surgery procedure, their financial circumstances and insurance status. Dr Kuzinkovas will be able to provide a more detailed quote after consultation.